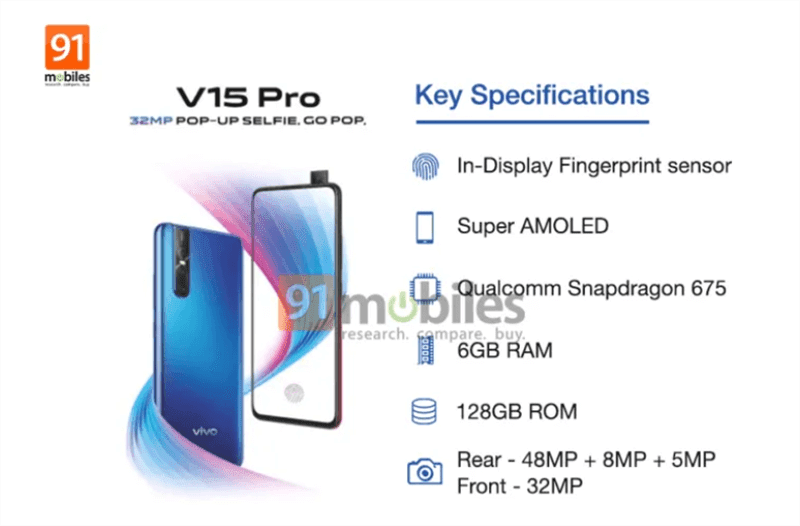 If leaks and rumors are true, Vivo's upcoming V15 Pro could be a monster mid-range camera beast! New leaks revealed the key specs of the phone which showed that it will sport a full-screen display, In-Display fingerprint scanner, Snapdragon 675 SoC, 6GB RAM, 128GB storage, 48MP + 8MP + 5MP triple-camera setup at the back, and 32MP pop-up selfie camera. The chipset is mid-range grade and it has real support for a 48MP image sensor. The triple-cam at the back also sounds promising even if we do not know the functions of its extra 8MP and 5MP cameras. The 32MP front camera could be the most powerful single selfie camera yet as well. Digit also shared that it could be could be priced around Rs. 25,000 (around PHP 18K) in India. The handset will launch on February 20th while pre-orders begin on Feb 15.